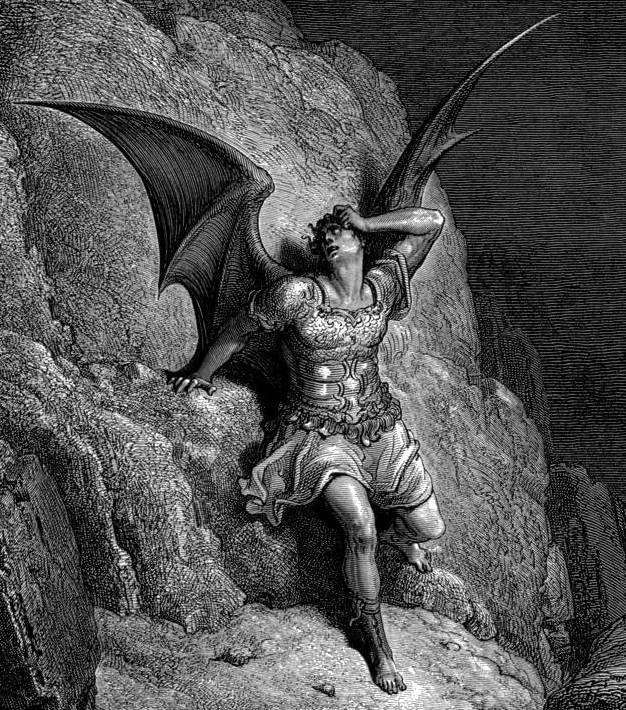 Gustave Dore, depiction of Satan Photo by maxkalehhoff on Flickr. Rarely does a day go by when I don’t read or hear about another conspiracy theory. Since I have seen some pretty crazy things in my lifetime, I take them all with a grain of salt. Don’t get me wrong; I do care about my country and on most days, would much rather live in the United States than anywhere else in the world. I also realize that there are some truly nefarious people and organizations out there that really are out to destroy that which is good; this is nothing new. For those who lack a strong faith in the sovereign God of the Bible, I can understand their reason for alarm. Sadly, they can only put their hope and trust in their fellow men and women. On the other hand, if you claim to be a Christian, go to church regularly and yet spend the better part of your days fretting about the latest political activities, you are sadly off balance. Preoccupation with worldly things is a definite sign of spiritual immaturity. If you are new to the Christian faith, then you get a pass for now. If you have been in the faith for more than a couple of years, you really need to step away from your TV, computer and newspapers, take a deep breath and go read your Bible. As the prophet Isaiah recorded three thousand years ago, we need to heed his words, stop worrying about political conspiracies and start focusing on God. He is the one in control of everything. If you claim to have faith in God and yet spend all your energy telling the world about your political views, you are in disobedience to Jesus’ directive in Matthew 28:18-20. He told His followers to tell others about His teachings, not some political agenda. There is only one conspirator, and that is Satan. He lost the war between good and evil the day that Jesus rose from the dead, but will stop at nothing to wear down, distract and dominate the thinking of well-meaning Christians by deceiving them into thinking that by spreading the message of politics, they are somehow doing God’s work. The true changes in any country take place in the hearts of men and women, not in the halls of government. If you are a Christian and truly want to make a difference in this country and the world, stop allowing Satan’s conspiracies to distract you and focus your heart, mind and energy on obeying Jesus!